Take a seat and pay attention. I’ve got something very, very cool to show you. We’ve played a lot of card games in our time and many of them are variations of the game of War. You know the one – you flip over a card against an opponent and high card wins. Unless you tie, then you both say (while laying three face-down cards in front of you) “I-De-Clare-War”. High card takes them all unless you tie again. On the other end of the spectrum are trick-taking games like Hearts and Spades. 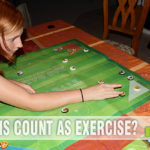 There have been a number of current card games that take this to another level. Nevermore comes to mind. As does Indulgence. But no matter what game it is, the cards remain the same. Part of your success is determined by the luck of the draw. What if you could change the cards in your hand? That’s exactly the exciting feature in the brand new Custom Heroes by Alderac Entertainment Group. And once you see this brand new game mechanic in action, you’ll wonder why it runs under $20! 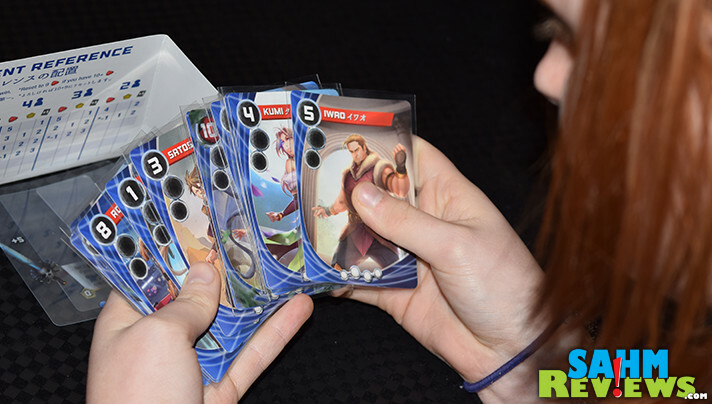 At its heart, Custom Heroes is a rather simple card game about being the first person to get rid of all the cards in their hand. Each player, up to six, are dealt a hand of ten cards. The first player plays any number of cards as long as all of their values match. For example, they may play one 2, two 4’s or even three 10’s. That sets the stage for the remainder of the round. Each following player in order must play the exact same number of cards, in a value equal to or greater than the one just played. If they cannot (or choose not to), they simply pass to the next player. If everyone passes and the turn gets back to the person who played the last set, they win that trick and start the next one in the same manner (cards aren’t actually collected as tricks, they remain in the center and are out of the round). The round continues in this manner until all but one player has any cards left. The first player to play their last card gains rewards of being first, as does second and so on. Last place has a penalty and some rewards – I’ll save those details for just a minute. So what makes Custom Heroes so special? LOOK AT THIS! Yes, those are clear overlay cards (Advancement Cards) that are being put on top of the dealt card to either change its value or add some type of special ability! 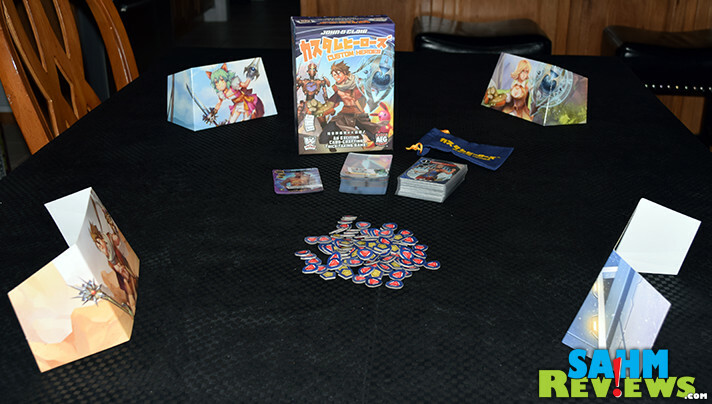 Custom Heroes includes clear plastic sleeves to insert the base card and each one can carry up to FOUR upgrades. On the bottom of each card are four tiny circles representing what the character can hold in their left or right hand, what type of aura they possess and any special abilities awarded by companions. These are permanent (for the game) upgrades and only one of each type can be attached to a card. Players begin the game with one random advancement, a special ability (Kodora) and a random Ascended Form overlay. At any time during the game you may insert one or more of these advancements into the sleeve of a card in your hand before you play it. Some add to the card’s value, others subtract. Some change the base value entirely while others have it count as two of the same card! 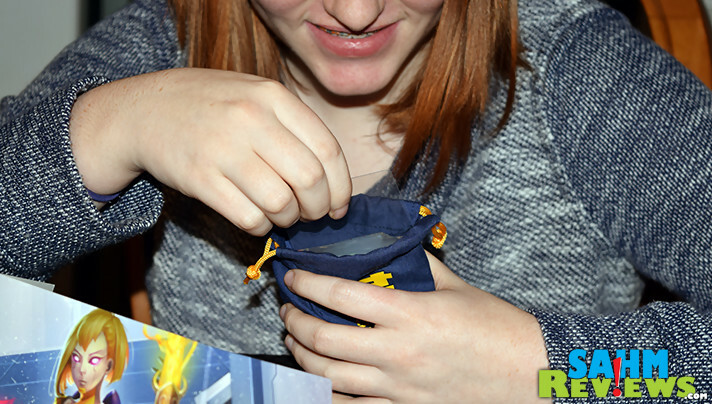 There are dozens of different upgrades you can apply, but since they are permanently put into the sleeve, at the end of the round you risk them being shuffled into another player’s hand! There are two currencies in a game of Custom Heroes. The first are red Victory Point tokens. These are obviously what you are trying hardest to collect, as the first person to amass at least ten tokens AND win the hand is the victor. 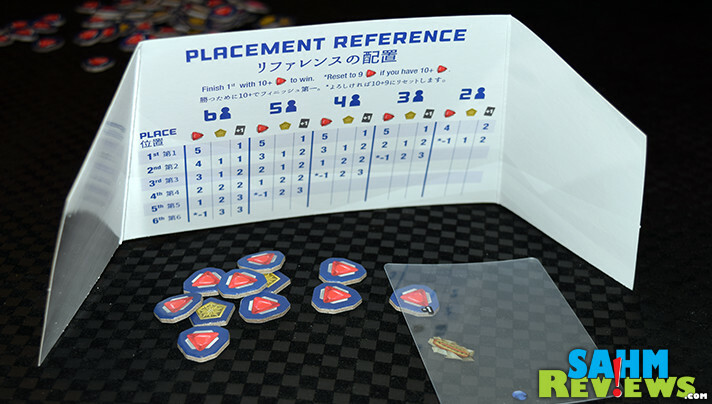 A varying amount of VP tokens are awarded to each finisher of a round, with the last place person losing one. 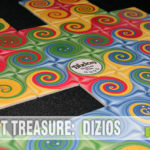 Power Tokens are also awarded at the end of the round, with the people finishing towards the bottom of the pack receiving more to help them catch up next round. Power Tokens can be converted into Victory Point tokens at a rate of 4:1, but are best used to pay for the activation of a card’s special powers whose cost is printed in the lower left. Your round placement also determines how many new Advancement Cards you are allowed to draw, again with more being allotted to those who finish lowest. This is where the real excitement of Custom Heroes exists. It is nerve-wracking to watch someone begin to add an Advancement to a card in secret, wondering what they’re going to play. As rounds progress and more Advancements are applied, it really makes for some wild swings in the bidding process! 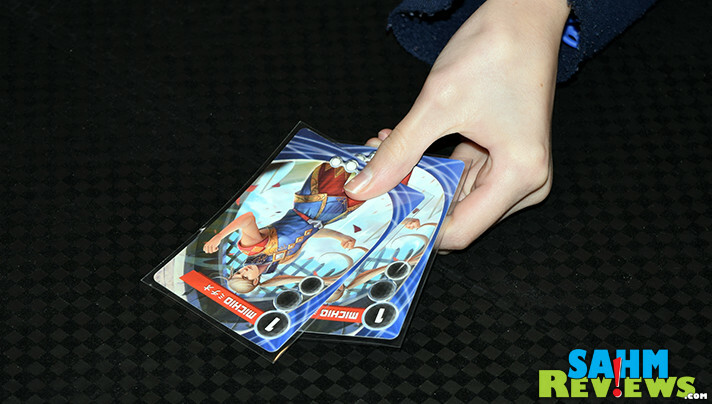 There’s even one card that when activated changes the direction of play – not in reverse order, but now you have to play cards LOWER than the previous set for the rest of the round! That is until someone plays another one and converts it back to normal. Words really can’t effectively express how unique and engaging this new mechanic is to what should be a simple card game. We understand this “Card Crafting System” as they call it has been used by them in one other game, Mystic Vale, but it is one we have not played. 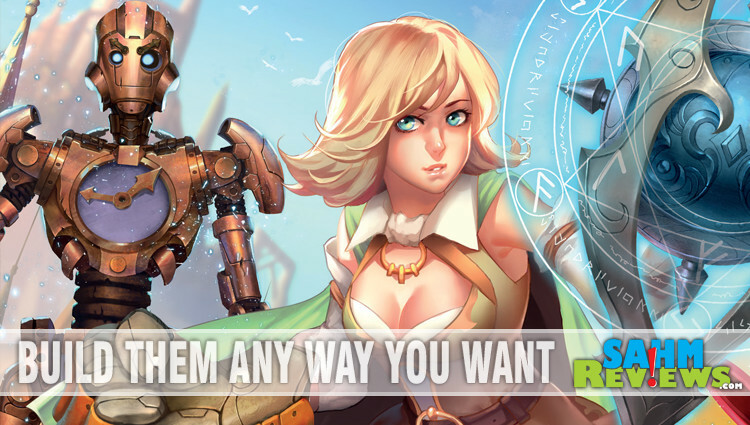 It seems perfectly applied in Custom Heroes and once again at under $20, is probably the best-valued card game we’ve reviewed to date. 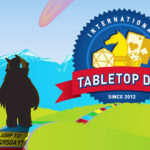 Make sure you are following AEG on Facebook and Twitter to find out if they’re working on more Card Crafting System games or what their next exciting game will be! Have you played this or Mystic Vale? What do you think of this new card system? I used to play Yu-Gi-Oh card but this looks so different. Let me go ahead and try this one. This would be a great game for my youngest son. He would find a lot of interest in it. Also it looks kind of like a form of anime and that is his favorite. He has played cards games of all types. 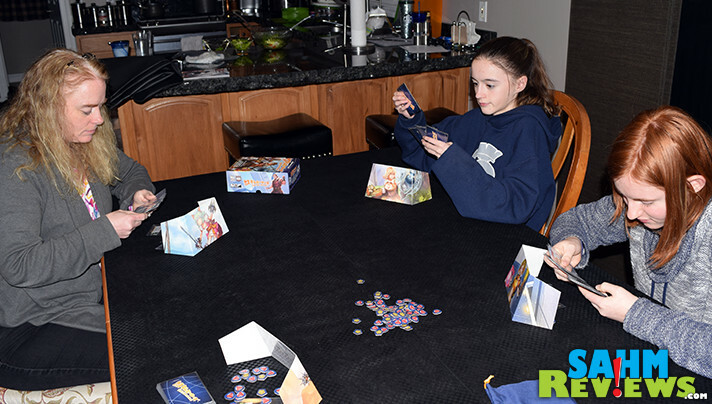 Game time is an important family pastime. This game looks like the entire family can enjoy it. 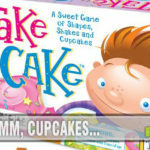 My cousins birthday is soon approaching and I believe this board game would be beneficial to them. This looks like a fun game! Thank you for the review. This looks like something my son would really enjoy. He has recently just gotten really into playing card games.